Quality Palm Beach Painting (561) 945-8083 Offering house painting contractor services, roof painting - elastomeric restoration coatings in Palm Beach County. 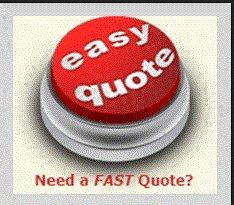 Fast Easy Quote! As a repeat customer, I am once again impressed by Quality Palm Beach Painting's professionalism, high standards, punctuality, courtesy and affordable prices. As an interior designer with a very discriminating eye, I find their work to be of superior quality. They couldn't be a nicer, more accommodating and delightful. With a toddler and another baby on the way, they were able to work me in right away, suggest eco-friendly products and was in and out in less than 2 days. Don't hesitate to use them - I know I'll be using them again in the future! They painted the inside of our home 2 years ago and we were so pleased that we had them paint the outside of our home last year. As it's been an especially cold and foggy summer, when we got a recent break in the weather, they sent the same crew who painted the inside of our house, plus 4 more so they could finish and the paint could dry thoroughly before the next rain. They were all very nice guys who did an outstanding job, thoroughly sanding, priming and painting with great attention to detail. They also recommended I bring my ideas to his favorite paint store, and helped me select a combination of colors that were perfect for the house. I highly recommend Quality Palm Beach Painting and will use them again. They gave a very competitive price and did a great job painting the tall walls. They were even nice enough to replace a light bulb that burned out in a hard-to-reach place using the tall ladder he brought to do the painting. The best thing about Quality Palm Beach Painting is that they are great communicators. They returns calls and emails promptly, and discusses the details of the job in a way that makes sense so you know what you're going to get. Fantastic painters and I would hire them again.